Discover our range distributed worldwide by the top podiatry suppliers..
A natural extension of your hand, true to the desired quality and approved by professionals. manufactured for professional use by podiatrists. In our workshop, we manufacture podiatry gouge blades both for our retail clients and under our own brand name. The quality of our tools and the perfection of our production machines. Allow us to obtain a perfect blade with unrivalled sharpness. 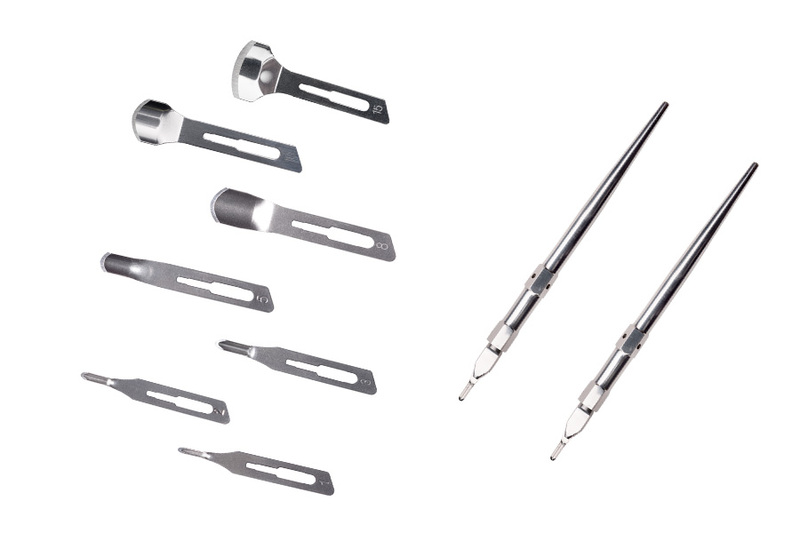 Our production of class IIa blades complies with the requirements of point 3 of Annex V to the Directive 93/42/EEC concerning medical devices. CE-0459 certified. 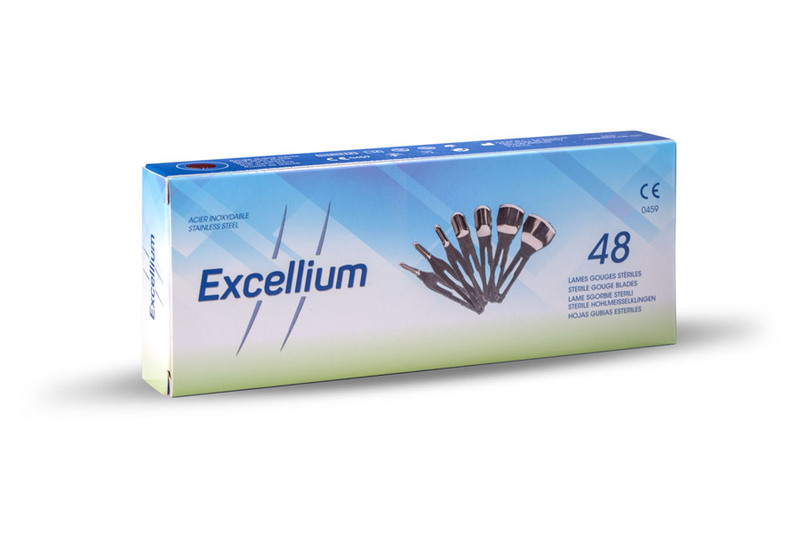 Box of 20,50, 500 or XNUMX sterile stainless-steel blades, individually wrapped in aluminium foil. Gamma sterilisation guarantees complete hygiene. Our manufacturing process ensures sharp blades and unparalleled durability. A luxuriously presented top quality blade. Ideal for the most demanding professional users. 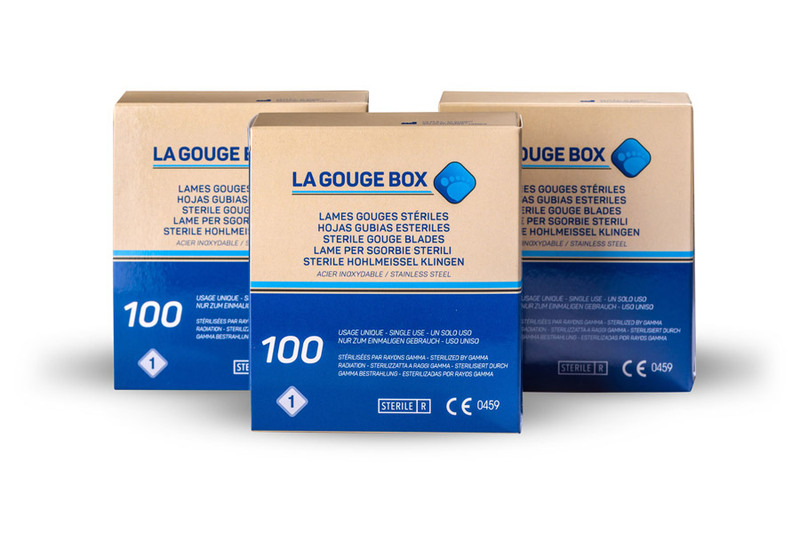 Box of 100 or 250 sterile stainless-steel blades. Individually packaged in aluminium foil. 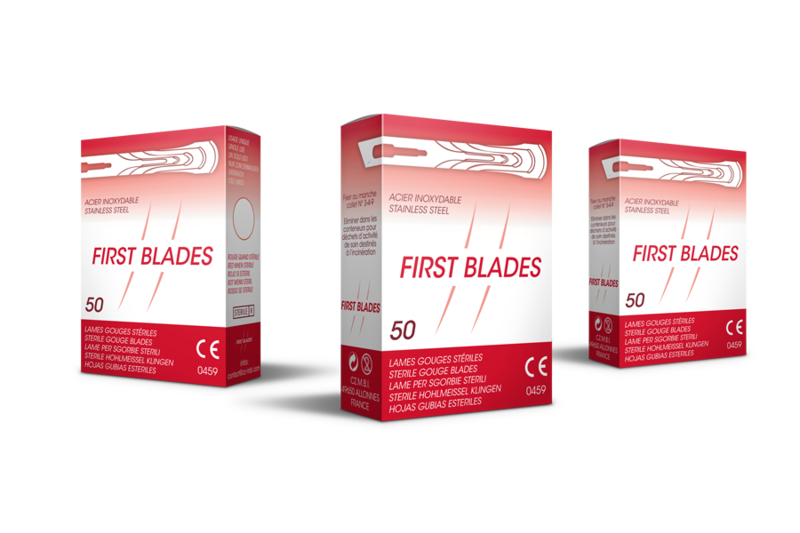 A quality blade at a competitive price. Very sharp blades for use requiring high precision. Podology blades very easy to use thanks to the ergonomic blade handle. High quality materials, made with stainless steel.